﻿ Figo: "It's not fair to compare Cristiano Ronaldo and Messi. They are completely different"
01.10.2011 » Figo: "It's not fair to compare Cristiano Ronaldo and Messi"
The former Portuguese player, Luís Figo, talked with an Italian media press earlier this week and besides approaching topics related to his new life outside the pitch, he also had a few remarks about his fellow countryman, Cristiano Ronaldo. One of the biggest legends of Portuguese football, Luís Figo, granted an interview to "FCInterNews.it", where he not only talked about how his life changed after ending his career on the pitches, but also commented on how the rivalry between Cristiano Ronaldo and Lionel Messi should be looked upon. Luís Figo asked for people to stop comparing the two players and to simply admire their tremendous qualities, distinctly. Figo's illustrious career in football, includes passages in clubs such as FC Barcelona, Real Madrid and Inter Milan, so the Portuguese is definately a well credited person to talk about Lionel Messi and Cristiano Ronaldo. 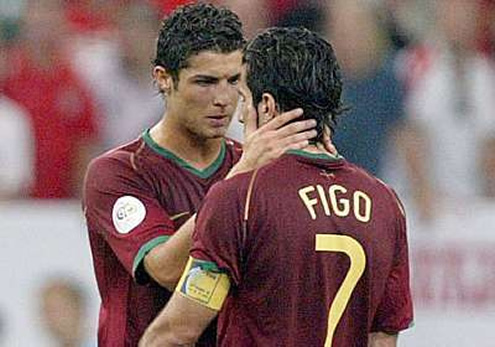 Figo started by affirming that the best Portuguese player remains being Eusébio, replying to the journalist when he asked him to choose between him and Cristiano Ronaldo. He then proceeded and praised Ronaldo and Messi. Figo: "Cristiano Ronaldo and Messi are two completely different players, starting with their personalities, the clubs where they play at and the way they choose to deal with the media. It's not fair to attempt to compare them. I love to watch them playing, why should people feel tempted and insist in making comparisons between Messi and Cristiano Ronaldo? It's like you're having two things you like to eat in front of you and you decide to just taste one of them, when you could have gone for both." The Portuguese player then talked about the timing of his decision to retire from being a professional football player. Figo: "I certainly remember my last game and I didn't take that decision impulsively or carelessly. It was something on which I thoughted a lot about, so it wasn't something I decided from one day to another. I knew that I had lost my physical levels, as well as I was losing that typical motivation we have when we are younger. It was the right time and I just said to myself that it was time to hang the boots up." Figo is now studying in IESE Business School, University of Navarra, since one os his passions is to manage businesses in different areas such as real estate, hotels, bars and tourism. 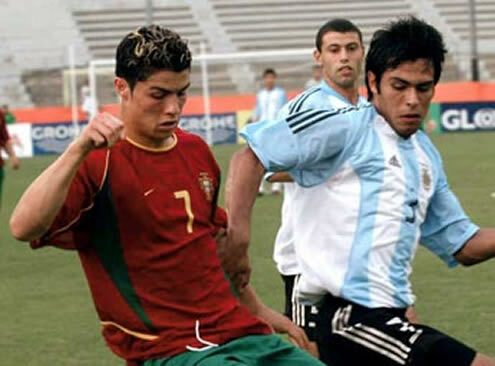 Moreover, the Portuguese has also started a social media platform project in 2009, to allow young kinds who have the dream of becoming of a professional football player, to send their videos and films and show what their skils and what they can do. Figo: "Every month we pick a winner among all the candidates. We obviously have several agreements with football clubs, that watch the videos we receive and are willing to invite them for trials in their academies." 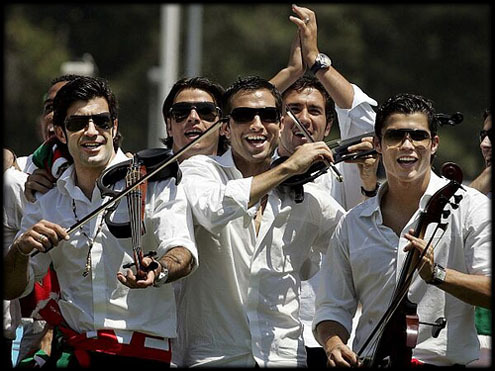 Real Madrid will play against Espanyol in La Liga, this Sunday (02/10/2011). You can watch Juventus live stream, Espanyol vs Real Madrid stream, in our Football Live Streams section. Cristiano Ronaldo will be on the line-up. The countdown clock timer, displaying the time left for the next Ronaldo game, is shown on the top right corner of all pages. Next weekened, you can follow Montenegro vs England online but tomorrow don't forget to also watch Sporting Gijon vs Barcelona live stream, both provided in our "Live" section.